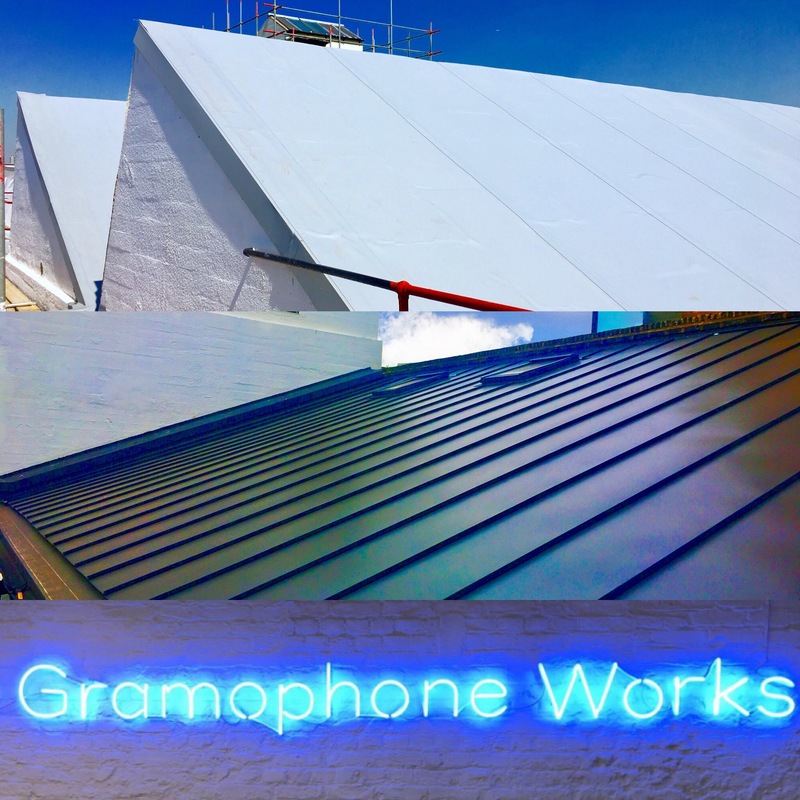 The former home to Saga Records, the Gramophone Works has been transformed into an attractive mixed use Office Development. IPS Group have completed the roofing works to three roof areas of this development on behalf of CityAxis. The roof refurbishment of the main flat roof and pitched roof areas has been completed to a high standard by using the existing mineral felt as a vapour control layer, supply and adhering Xtratherm 90mm PIR Insulation, completed with fully adhered Rubberfuse TPO Single Ply roofing membrane in Light Grey. The Gutters, upstand and perimeter edge are completed with Rubberfuse Coated sheet laminated metal manufactured to size by our inhouse manufacturing team. The shed building roof has been refurbished utilizing Catnic SSR2 Standing Seam Roofing System in Anthracite Grey.